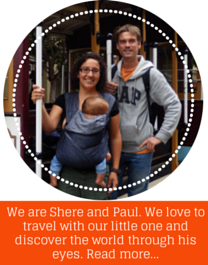 After two and half weeks travelling in Costa Rica, we spent our last night in San José. 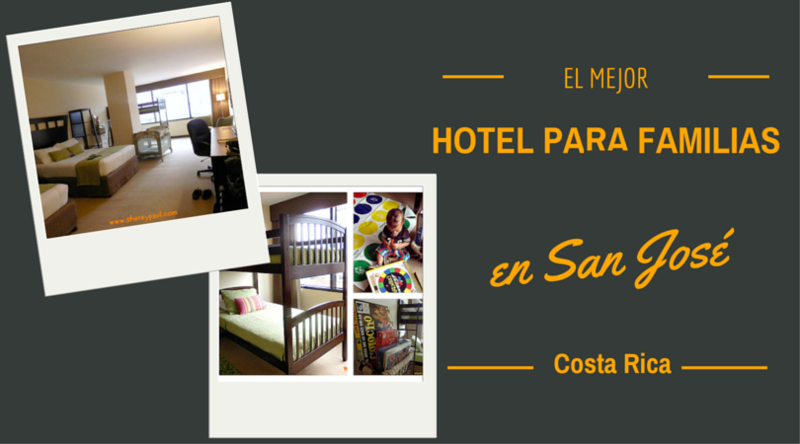 We were looking for the best family friendly hotel in San Jose and we found it: the Tryp Sabana in San José. Let me tell you about our experience. As we didn’t want to have the car in the city we looked for a hotel that was located in the city. In fact, we walked from the hotel to the city center, but you can also catch a bus. The hotel is located next to the parque metropolitano La Sabana and el museo de arte costarricense. Well, I have to admit that we tried all beds. Liam (17 months) climbed into the bunk bed, but as he is not used to sleep alone in an regular bed, he started the night in the baby bed and, just like at home, he woke up in the middle in the night and wanted to sleep in our bed. Even though the three of us would fit in one bed (they are large), I took advantage of the extra bed, so Paul slept in one and Liam and I in the other one. All beds were really comfortable and the icing of the cake was the pillows. I’m used to sleep in hotels and I really value when you have different kind of pillows. We had hard ones, soft ones, thick ones and thin ones to choose from. Perfect!! 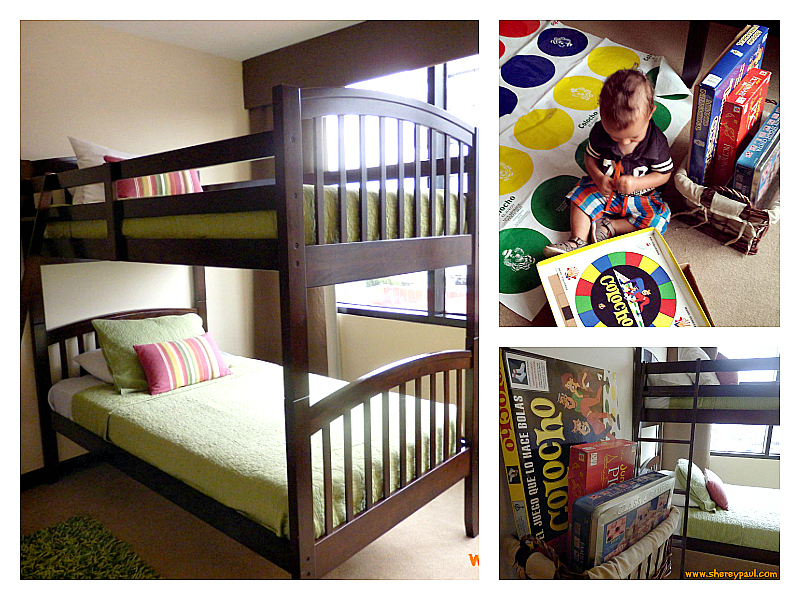 Another bonus point of the family suites is that they also have games for the little ones. You might think “we are not going to spend to much time in the room”, but if you’re coming overseas, you will have most probably jet-lag and children ready to start the day middle of the night. In this case, the best thing you can do is to let them play until is time to go out. Our little one was busy opening all boxes and games while we where (re)packing our luggage. 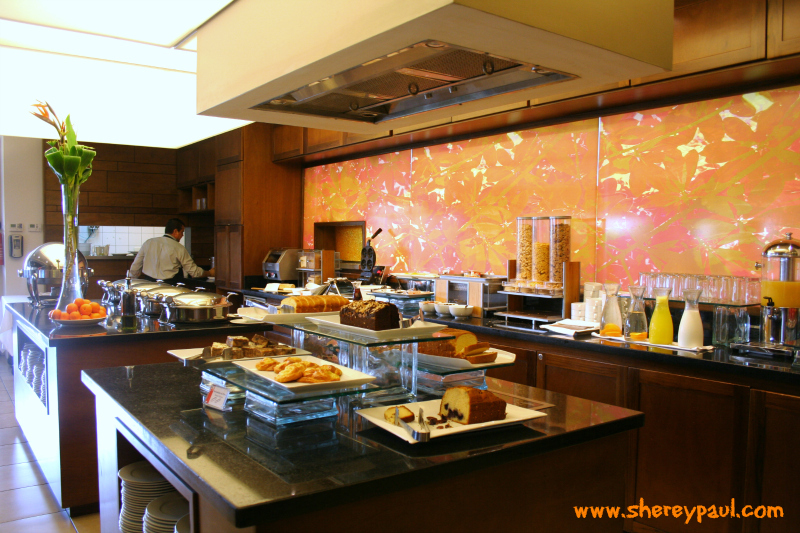 The Tryp Sabana puts a lot of attention to the details. We had a lovely “Belcome” message (I guess is from B-bienvenido and w-ELCOME) instead of those standard messages in the TV, which it’s also in line with their Certification for Sustainable Tourism. I mean, instead of having a TV on wasting energy, they handwritten the message in the mirror of the bathroom. 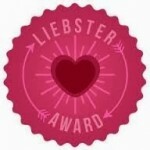 Did you notice the little heart in the i? I love it!! The bathroom had two different compartments, one with the washbasin, a cupboard, an iron board and an iron, and another one with the wc and a shower. 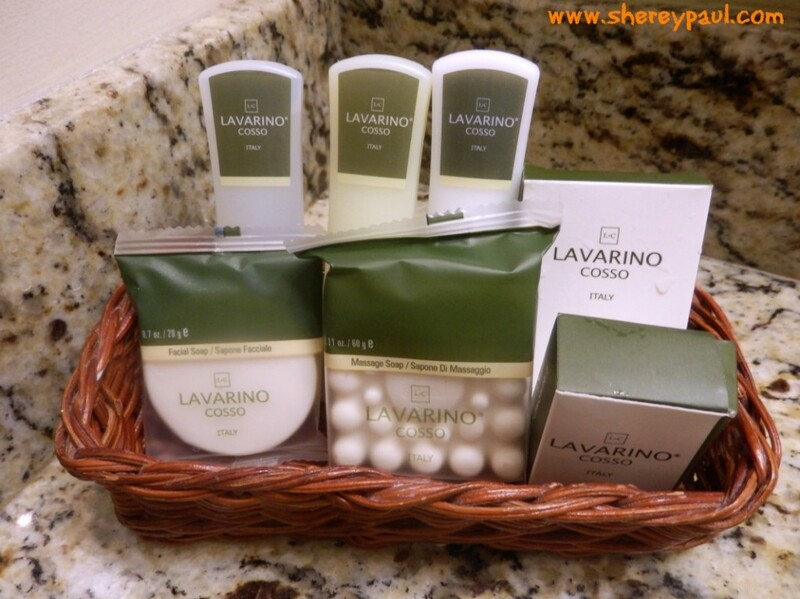 Next to the washbasin there was a basket with all kind of soaps, even a massage soap!! 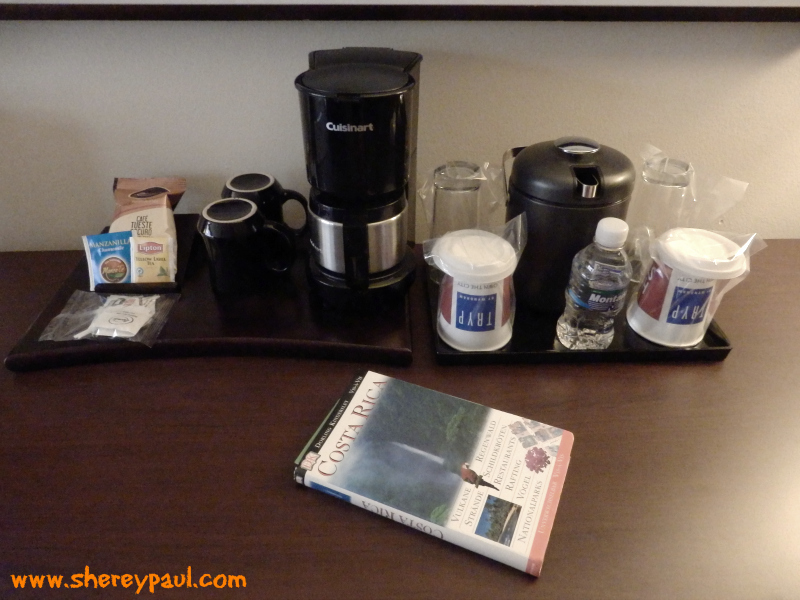 Also in the room, there was a coffee machine, Costa Rican coffee and tee free of charge, as well as a LCD TV and complementary wifi. After a good night of sleep, we went to the restaurant to have breakfast. 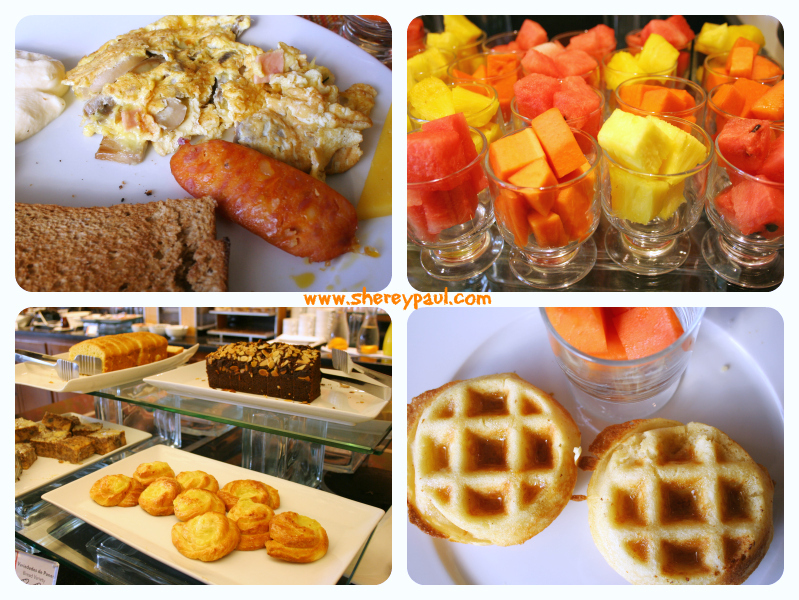 Here you really see the 4 starts of the hotel: the breakfast buffet was amazing!! They had fresh fruit, many different kind of fresh bread, pastries, cereals, typical Costa Rican breakfast items like gallo pinto, but also eggs in different styles, sausages, potatoes, stiff and cheese. 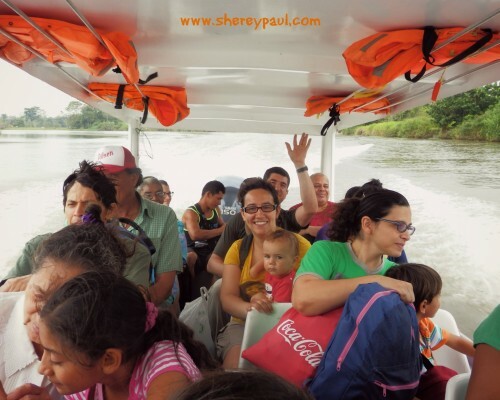 In summary we had a wonderful stay at Tryp Sabana. 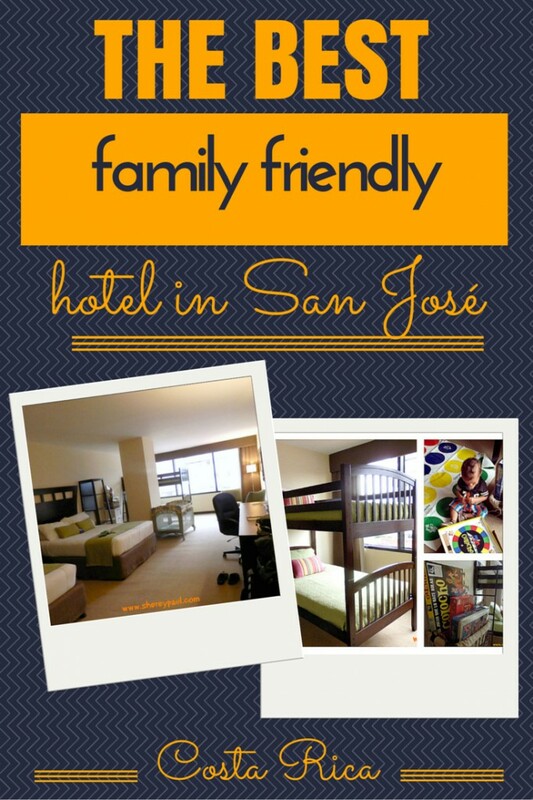 They are the best family friendly hotel in San Jose and we would recommend every traveler family to stay here. 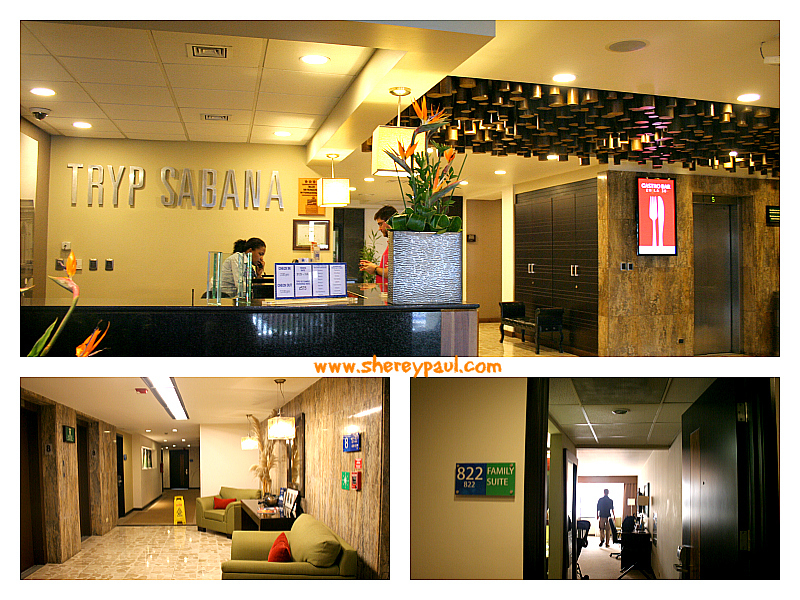 We want to thank you the Tryp Sabana hotel for the complementary stay. Wish there were more family suites like this throughout the world–especially in Europe! Yes, it’s a pity not so many hotels offer family suites. Awesome! 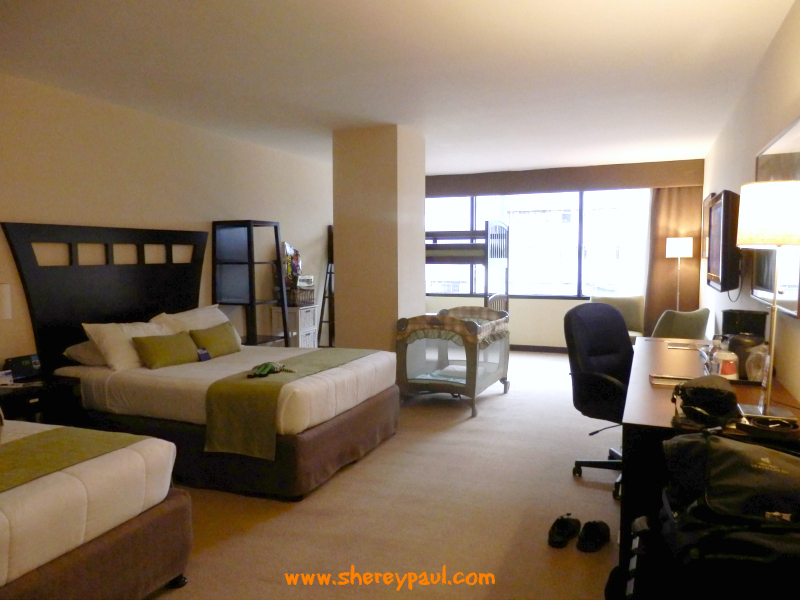 We stayed at the Holiday Inn last time we were in San Jose, we will definitely be using this advice next time! Such a great fit. glad it help you out! Looks like a great place to stay in San Jose. We don’t like to have a car in a city either, when we can avoid it. 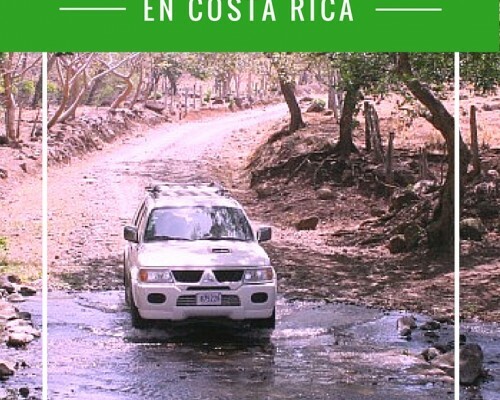 When I read “San Jose” I thought you were talking about California, but then I realized it’s Costa Rica. I’ve never been there, but I heard only good things about it so far. 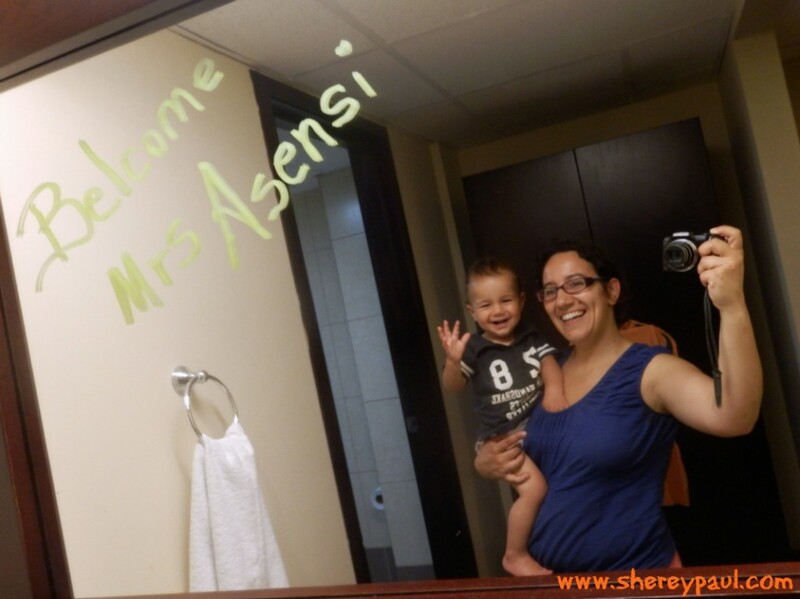 Your hotel was really beautiful and it had baby cribs too… did they just add those for you? It seems your little baby had a blast. 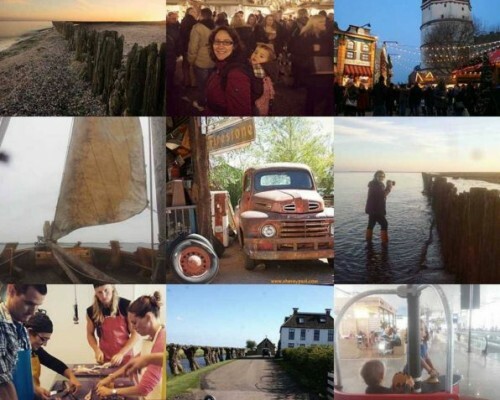 Thanks for joining us for The Weekly Postcard. This looks so cosy! Perfect for kids and quite a sigh of relief for parents I’m sure! Wow that hotel looks amazing, especially that breakfast buffet! I don’t have a family but even I want to stay there! I love when hotels have different kinds of pillows. I am so picky with mine! Looks like a cool hotel. 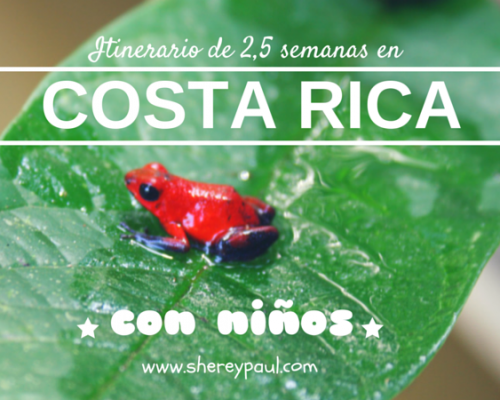 We love Costa Rica and are planning to head back soon:) I love the bunk bed idea. Great looking hotel. Will keep this in mind since Costa Rica is high on my list. I love the big room and personal touches.